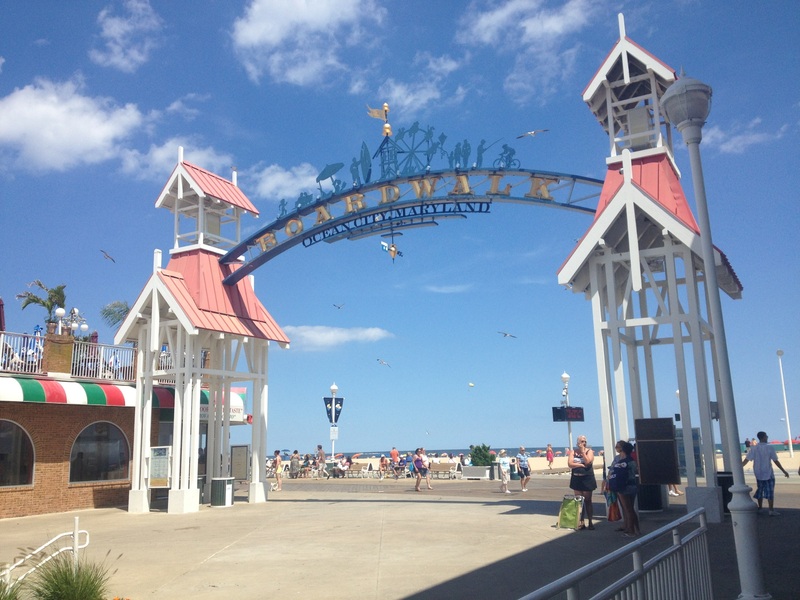 Whether you’re a seasonal vacationer, coming for a quick visit, or are a loyal resident, Ocean City always has something exciting going on to keep you, your family and friends entertained. Here's just a small list of the many wonderful events that occur each year that you definitely won't want to miss. Taking place one weekend every year in June, the Air Show is one of the most popular and most attended annual events in Ocean City. It brings the nation’s top military and civilian aerial acrobatic acts to the beach, where they display jaw dropping flight demos, exhilarating stunt shows, fantastic flight formations, parachute jumps, and even more captivating acts that defy gravity. Spectators can enjoy the show from the beach, boardwalk, or at one of the many viewing parties they wish to attend. People from all over cheerfully choose Ocean City to come to celebrate this national holiday each year. With free live concerts, fireworks on the beach, and great nightlife options for the post party festivities, why not choose OC? This internationally famous event has been occurring every August in OC for the past 44 years, as of 2017. It is the largest billfish tournament in the world, where hundreds of participants come to compete, with millions in prize money on the line. Not only is it fun for the competitors, but an awesome affair for spectators to be a part of. It’s a great way to get involved in the exciting occasions the community has to offer. Each year, in mid-September, over 150,000 motorcycle enthusiasts congregate to the Eastern Shore to celebrate this final summer blowout. Bike Week features a variety of stunt shows, bike shows, vendors displaying food and merchandise, and musical acts with performances perfect for the occasion’s theme. Sunfest is a 4-day celebration at the end of September to symbolize that although summer is coming to a close, the summer vibe never ends in Ocean City. Going on for over forty years, Sunfest provides loads of fun for everyone. The event features multiple live music acts, local restaurants and caterers offering regional food favorites, vendors selling a variety of goods and souvenirs, and tons of games and amusements for the kids. A free family fun event coming on its sixth year, takes place the last two weekends in October. Children of all ages enjoy the thrill of the massive beach maze, the “Great Pumpkin Race”, where participants build and race their own pumpkin race car, and the “Howl-O-Ween Pet Parade”, where pet owners and animal lovers watch as pets parade down the boardwalk in their unique Halloween costumes. Don’t forget to visit Ocean City Screams Haunted House, the area’s biggest, scariest, most intense, state-of-the-art haunted house ever built. Getting residents and visitors in the holiday spirit early, the Christmas Parade occurs the first weekend of December, coming on its 34th year. The event features more than 50 units as they march down Coastal Highway, including high school bands, horses, antique cars, colorful holiday floats, and more. Festivities at the hotel begin once the parade ends, including ice skating, a DJ playing continuous holiday music and free photos with Santa and Mrs. Claus. Ocean City may be best known for its beaches and being a vacation hot spot in the summer, but it transforms into an award-winning holiday wonderland each winter. The annual Winterfest of Lights celebrates the holiday season with hundreds of animated light displays and more than one million Christmas bulbs strung throughout town. The decorations at Northside Park on 125th Street are the main attraction, however residents and businesses also participate with festive lights of their own. Whether you’re Irish or not, the St. Patrick’s Day Parade is just another fun festivity to be a part of. Everyone comes out in green to participate in or watch the marching units, floats, and local celebrities, as they pass through the town. The excitement continues after the parade with food, drinks, and cheerfulness.